Dentists diagnose and treat problems occurring with patients’ teeth, gums, and related parts of the mouth. They provide advice and instruction on taking care of the teeth and gums and on diet choices that affect oral health. Although most dentists practice in general office settings, many choose to work in areas other than a basic family practice. Dentists may work in hospitals and specialty clinics as orthodontists, endodontists. periodontists and prosthodontists. As is the case with other medical doctors, dentists may also practice as radiologists, surgeons, pathologists, and public health specialists. 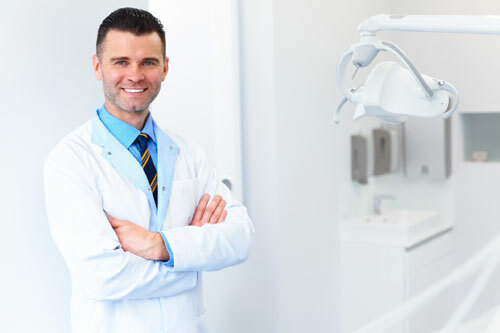 Typically, dentists work full time in dentists’ offices with a small staff of assistants, other dentists or alone. If there is a demand in their community, dentists may also work evenings and weekends. Twenty-five percent of dentists are self-employed. is the average yearly pay for dentists. have a Doctoral degree while 7% have some college, but no degree. Dentists must complete a doctoral-level dental school program before sitting for written and practical exams in their state. Aspiring dental specialists, such as orthodontists or pediatric dentists, must also complete a two to four-year residency program in their area of specialty. In addition to routine dental examinations and fillings, dentists may also remove teeth, repair cracks in teeth, prescribe antibiotics to treat oral infections and read X-rays to diagnose structural dental issues. Dentists also perform administrative office tasks such as bookkeeping, maintaining supplies and buying equipment. They also supervise dental hygienists, assistants, laboratory technicians and receptionists. The average salary for dentists in May 2015 was $158,310 as shown from BLS.gov statistics, with the lowest paid ten percent earning less than $68.400 and the highest paid ten percent earning more than $187,200. Orthodontists and, oral and maxillofacial surgeons had the highest average salary of $187,200 or more per year. Opportunities for dentists are growing faster than average and are expected to increase eighteen percent between 2014 and 2024. Some factors behind this growth include more demand from aging baby-boomers, improved access to health insurance and the increased popularity of cosmetic dental procedures.